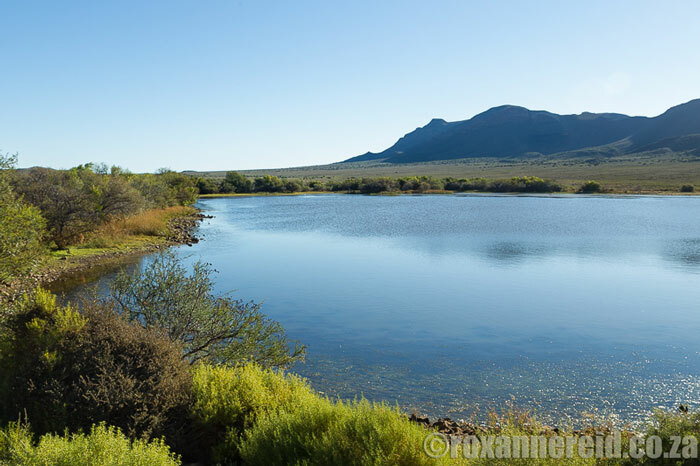 If you haven’t yet visited Cape Nature’s Anysberg Nature Reserve between Laingsburg, Ladismith and Montagu in the Karoo, do it now. It’s a special place for endangered plants and animals such as the riverine rabbit, but you can also kick back and relax in the silence, gaze at the stars or choose from a number of activities like hiking, horse riding and mountain biking. 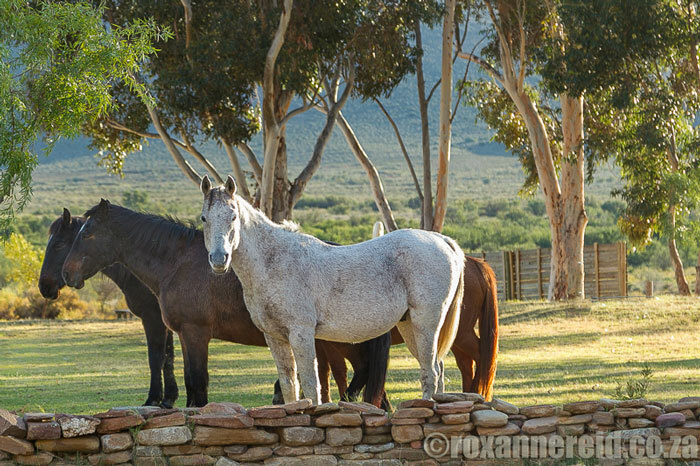 Horse riding is especially popular and you can go on a guided 25 km overnight trail into the mountains at Tapfontein, stopping to see some San rock art along the way. You’ll sleep under the stars or in rustic little wooden chalets. If horses aren’t your thing, hire a mountain bike – or bring your own – to explore the tracks in the reserve. Or drive the network of gravel roads in your high-clearance 4×4. 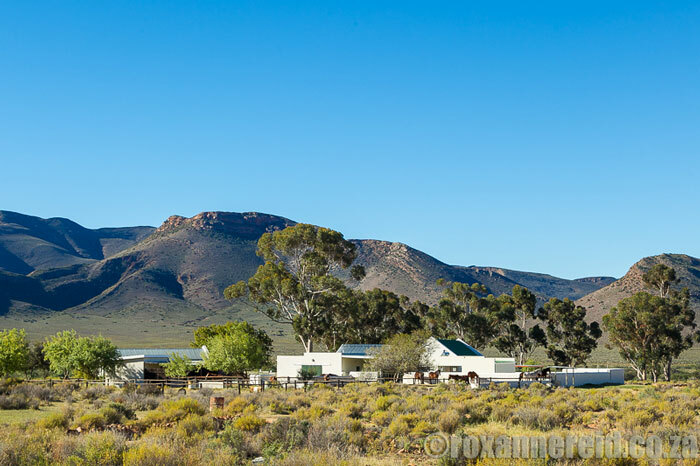 At Vrede, where the chalets, campsite and offices are, there’s a swimming pool and wooden deck for cooling off on hot days, or you can go paddling and bird-watching on Rooidam not far away. But perhaps the two best activities are simply to walk the veld or look at the stars. The walk to the Landsekloof waterfall is about 1.5 km from the start of the kloof, some 6 km from the cottages. 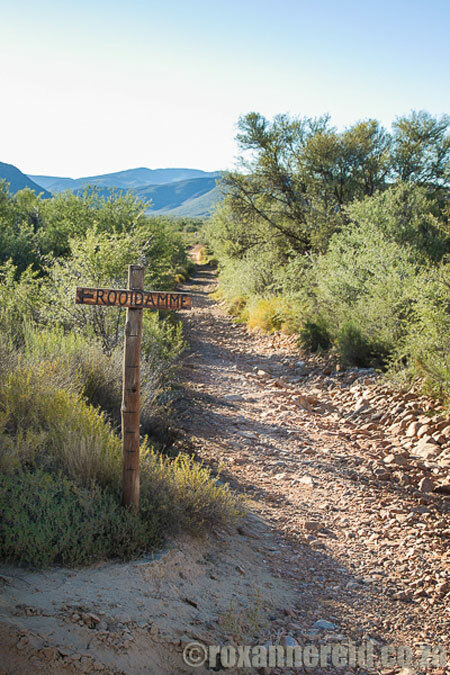 Although it’s the only official trail, there are lots of other paths through the veld where you might spot some of the reserve’s gemsbok, red hartebeest, steenbok or Cape mountain zebra. Riverine rabbits have recently been discovered on the reserve. “We have a Cape Peninsula University of Technology student doing research on their distribution and habitat in the reserve,” says reserve manager Marius Brand. 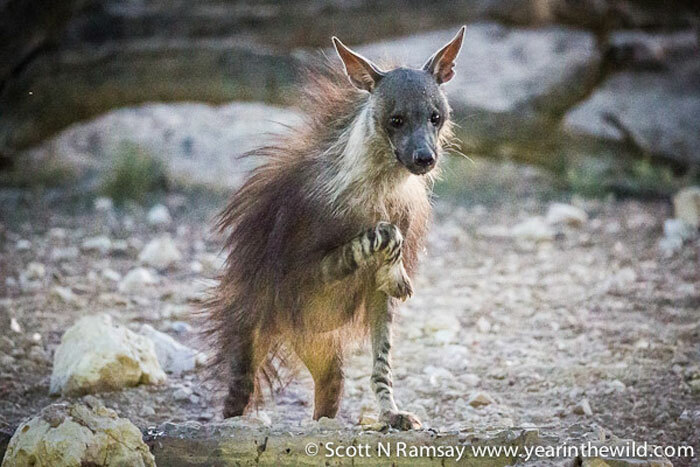 It’s hoped that this research will be an important step towards helping to conserve this critically endangered animal. The lack of light pollution at the reserve makes it an ideal star gazing spot, especially on nights where there’s no moon or just a sliver. The koppies here are fairly low and there are no huge mountains to obscure any stars hanging low on the horizon. You’re welcome to do your own star gazing; there’s a star book provided in your chalet to help you do just that. 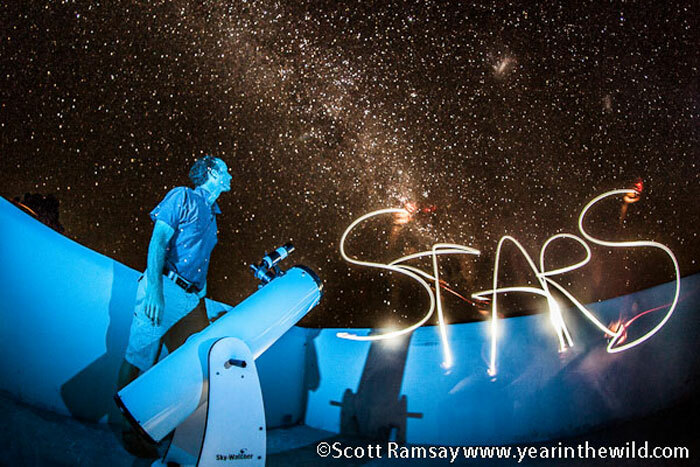 You can even marvel at the Milky Way from your verandah. But if you’re really keen to learn, join a guided star gazing evening at Vrede, using the reserve’s telescopes and tapping into the knowledge of Marius Brand or one of the other three star guides, who were trained by astronomy guides Chris De Coning and Kechil Kirkham from Over The Moon. Depending on the time of year, they might be able to point out Jupiter and its moons, Saturn’s rings or the Andromeda galaxy, 2.5 million light years away.